For casino players online, one of the most important stats to look at when choosing a new game is the Theoretical Return to Player. Beating the house is what we all want. This is the average amount that a game pays out over a period of time. It is sometimes referred to as the RTP. It is not a guaranteed of how much a game will pay out of course, because it can vary over time and one person might win big whilst the next person might have a bad run of luck and end up losing. However, it is important because it gives you the House Edge – i.e. how much money the casino takes for every £100 you wager. Most casino games have a house edge of an RTP of between 95% and 100% so beating the house is difficult. Slot games generally fall at the lower end of that range, whilst table games fall at the higher end. Here is our list of the best paying casino games. 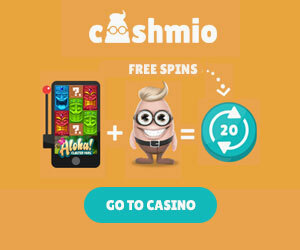 If you want to try these games we recommend you play them at sites like BGO Casino and Casumo. 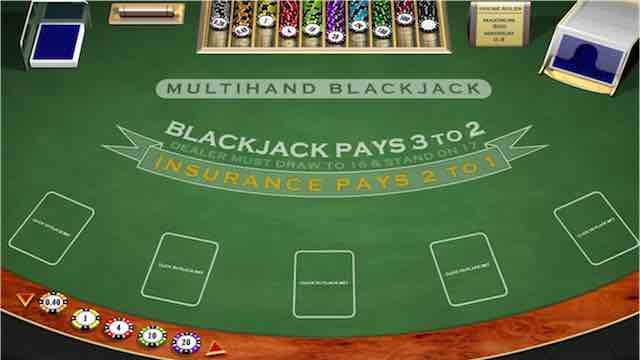 Classic Blackjack by Microgaming – 0.13% House Edge! Ok, so this is a seriously high payout in beating the house. Generally, Blackjack have the best RTPs of any online casino games, and Classic Blackjack is no exception. This means that alongside top class graphics you can also enjoy the wonders of playing a game where you have a really high chance of beating the house (though not always of course). You can play this game at Casumo. Mega Joker Slot by NetEnt – 99% RTP! Regular readers of Offersville will know that we love our NetEnt games here and we also want our users beating the house. And one of the reasons is there amazing collection of slot games, including this little gem that pays out at an extraordinarily high RTP of 99%! No wonder slot players love it so much. You can try this one at sites like Casumo. Craps is an extremely popular game in the offline world of casinos, so its no wonder that online players enjoy it too. This dice rolling game looks great on many versions created by the like of Playtech and Microgaming. The house edge is pretty competitive here too – you can win as much as 99.5% of your money back on average, which means really a good chance of beating the house if you play right. Definitely worth a go at BGO and Casumo casinos. Roulette is of course the most popular and well known slot game of all time. There are plenty of different versions, but our favourite is definitely the French one that Microgaming have delivered at some of our best casino bonus partners. The house edge here is 1.35% which is pretty reasonable. Roulette is so easy to play and a lot of fun, so why not try now at BGO Casino. These are our favourite casino games with a good house edge, but we also recommend Casino War (2.3% house edge), and Red Dog Poker (3% house edge). These are all good games with RTP and you can play them today at BGO Casino.